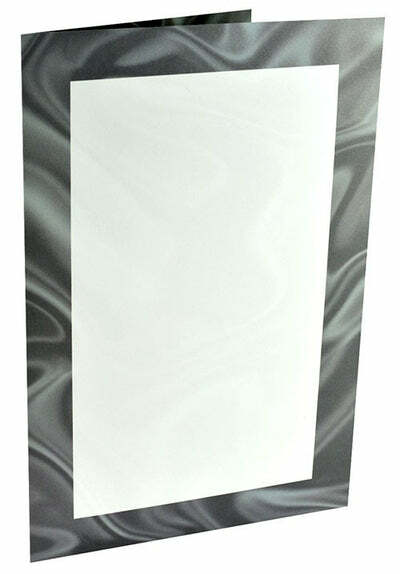 Black Tie brochure a bi-fold product with a simple design that appears on throughout the product. The outside of each page is bordered in formal black while the center remains blank for your personal message. Our Bulletin Paper is made from a 70lb text paper stock and is printed on an 8 1/2" x 11" paper that measures 8.5" x 5.5" when folded.